This month St Finbarr’s Cemetery in Glasheen marks its 150th anniversary of its opening for public burials. 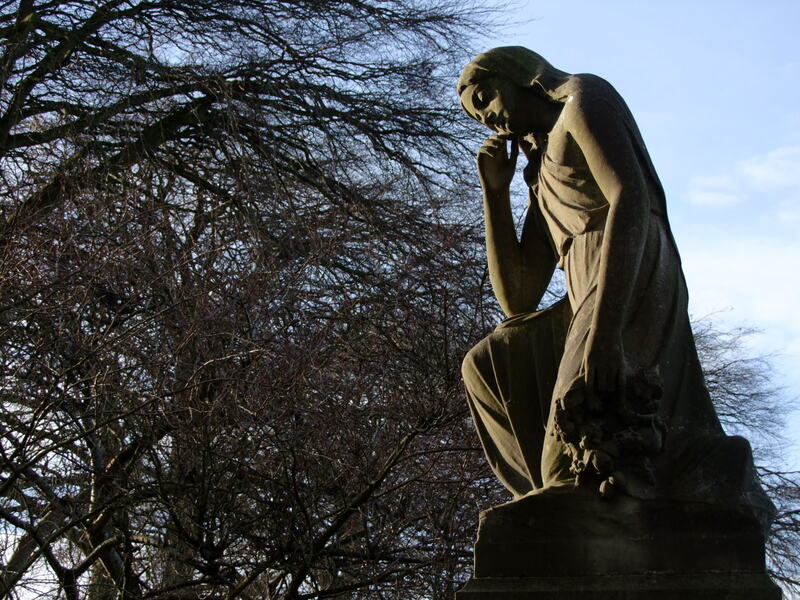 Since mid-November 1867, this beautiful cemetery has become an iconic space of reflection, art and architecture. Its back story is a long and complex one and this article attempts to shine some light on it. The Burial Ground Act of 1856 gave great legal and financial powers to Cork Corporation for attaining cemetery ground. 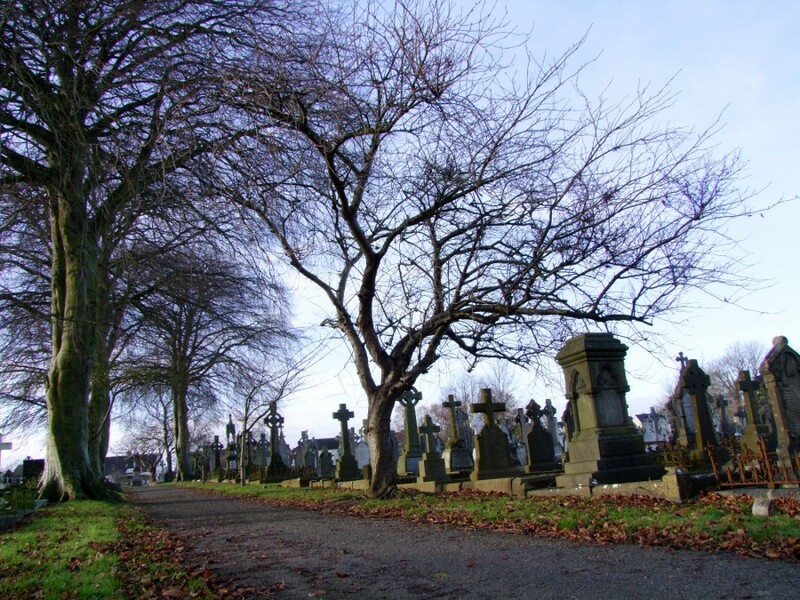 A growing population and limited cemetery space in graveyards such as St Joseph’s in Cork City led the Cemeteries Committee of the Corporation in late February 1863 to seek new burial ground. The Committee publicly sought in newspapers like the Cork Examiner tenders for forty acres of ground in or adjacent to the northern suburbs of the City, and a similar acreage on the south side. Sealed proposals were to be lodged on or before 28 October, to the town clerk, Alexander McCarthy, whose office was at 33 South Mall. Some ideas were received but a lack of momentum existed to pursue the matter. Nearly seven months later, a meeting at the Mayor’s Office at no 20 South Mall on Saturday 25 May 1864 was held for the purpose of considering the defective state of burial accommodation in the City. The Mayor, Sir John Arnott in the chair, resolved that a company be formed, on the principle of limited liability, with a capital of £10,000 in 2,000 shares of £5 each, with power to increase it if it was necessary. It was decided that when the company was formed, sites should be advertised for and the most suitable should be selected for shortlisting. The committee consisted of the Mayor, Sir John Abbott, C J Cantillon, J P Booth, Thomas Jennings, Dominic O’Connor, Alderman Hegarty, Alderman Keller and M J Collins. In late June 1864, daily advertisements by the Cork Cemeteries Company in the Cork Examiner sought twenty acres of land to purchase, to be situated within three miles of the City. Sealed proposals, stating particulars of title and cost, were to be lodged at Alexander McCarthy’s office on the South Mall. In the autumn of 1864, three sites were discussed at length in the Cork Examiner. The present site St Finbarr’s Cemetery on Glasheen Road was pitched but there was initially limited support for it within Cork Corporation. In late September 1864, Fred G Deverall, County Surveyor inspected the lands called the Commons, part of the Corporation’s lands, situated on the north side of the City, He examined the ground and found three sites, which could be made available for the purpose, one of which. contained twenty acres held by one tenant. His team dug six trial pits to ascertain the nature and depth of the soil in different places, and found an average of over seven feet of dry clay and gravel. The third piece of ground proposed was close to Wellington Square, comprising six acres. It was not supported by those living and working within the vicinity. The Jennings estate was nearby as well as 31 inhabited cabins within a radius of 100 yards, and 55 within a distance of 200 yards. It was also in the immediate vicinity of the County Gaol and the Queen’s College. In Wellington Square there was a well or pump, which was the source of water used by the residents of the locality, and would be within twenty-three yards of the cemetery. The Professor of Geology in Queen’s College, Cork testified that the ground in some places was deficient in depth of soil. By spring 1865, the Cork Cemeteries Company failed to get the public investment it needed and the company folded. The search for a burial ground continued for another year into early 1866. However, a sum of finance was acquired from the Westminster Treasury on favourable terms through the intervention of Cork MP John Francis Maguire. By late November 1866, the Corporation’s cemetery committee and the Corporation selected 15 acres of flat and rectangular ground at Glasheen. The cost would be £600 to the occupying lease-holder and Â£125 to the tenant who was growing crops on the site. The Cemetery Committee prepared to receive proposals for building a boundary wall, to enclose the land taken by the Corporation for the cemetery. The ground combined the various qualities required for a cemetery as the soil was dry, sandy and deep. A plan of the intended cemetery was prepared by Sir John Benson, the city engineer. The ground was to be laid out much on the plan of Glasnevin in Dublin, and planted with ornamental shrubs, and divided by walks. A fourth of the entire new cemetery space was to be allotted for the burials of persons of the poorer classes who would not be able to pay the charge to be made for interments. Two thirds of the cemetery were to be reserved for Roman Catholics and one third for Protestants. Each religion was to have a mortuary chapel for its separate use. By mid-January 1867, the Cemetery Committee sought tenders from competent parties for the erection of two chapels on the grounds of the new cemetery. In late April 1867, the Committee sought proposals from competent parties for the building of a registry office at the entrance to the cemetery.